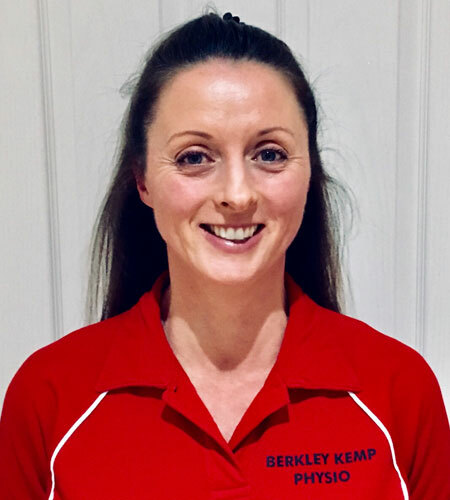 At Berkley Kemp Physiotherapy and Sports Injury Clinic, we offer everyone the same elite level of physiotherapy and sports injury rehabilitation. Our physiotherapists specialise in injury diagnosis, treatment, rehabilitation and regaining full function, so clients can return to their daily activities or sports pain free. Whether it is physiotherapy or sports injury rehabilitation you require, we treat the underlying cause of your pain, not just your symptoms. We diagnose, treat and educate you about your condition, with the emphasis on resolving things, ensuring a full recovery and prevention of recurrence. Our treatments combine hands on tissue manipulation, joint mobilisations, corrective muscle imbalance and functional training. Regardless of your activity level and ability, we offer treatments and programmes that are specifically designed for you, to meet your needs and goals. Specialising in all aspects of Musculoskeletal, Orthopaedic and Occupational Conditions. Our physiotherapists have over 50 years of combined experience working within the NHS, Private Health Care Sector and both Professional and Amateur Sports. This incorporated with an extensive network of consultants, ensures that patient's experiences are both professional and thorough. Is Physiotherapy Suitable For You? Almost everyone will benefit from physiotherapy and we treat injuries and conditions affecting the whole body. All Private Health Companies and Insurance/Legal work accepted.